Yoga master Rodney Yee hosts this gentle exercise program created just for back health. 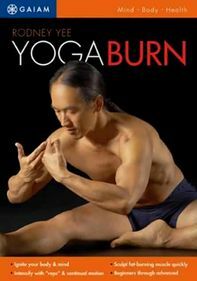 Yee uses simple yoga positions and energizing breathing techniques to tone back muscles and increase flexibility. The lightly paced workout restores strength and freedom of movement for those suffering from back pain, and helps prevent problems in those with healthy backs. A bonus segment illustrates positions that help improve posture while seated.